But the most interesting feature of this fruit is its high vitamin C level, with an average of 37 mg per 100 g. Half a grapefruit provides more than two thirds of the recommended daily intake for adults (80 mg), and nearly all for children (60 mg). 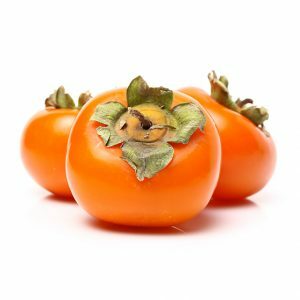 Moreover, the stability of vitamin C in this fruit is excellent, as the rate remains practically constant for several weeks after harvest (with the protection provided by a thick skin and the acid environment). Associated with vitamin C are other substances under the term “vitamin P”. These are components of anthocyanin pigments (abundant in red and pink grapefruit), flavonols, etc. Vitamin D has a beneficial effect on the resistance of small blood vessels and is beneficial in case of capillary fragility. It also potentiates and enhances the action of vitamin C of the grapefruit. The grapefruit provides even in a significant volume just very few calories. It supports effectively the supply of minerals and trace elements, including potassium, calcium and magnesium. The Sunrise Red Grapefruit is rich and sweet. Sunrise is very juicy with red peel and flesh. The harvesting period of Sunrise in Israel is from September to May. Originated in Florida, the seedless White Marsh Grapefruit is very rich in juice and flavor. Due to its valuable characteristics it quickly became very popular worldwide, including US, Australia, India, etc… It has the longest growing season of all citrus varieties in Israel, and ripens withing the period of September to July. Sweetie is a hybrid of grapefruit and pomelo with the appearance and high juice content of the grapefruit and sweet flavor of the pomelo. The fruit is unique by being very sweet, yet low on calories. The Sweetie ripens between September and March and is characterized by its changing hue – from green to yellow – as the season progresses.